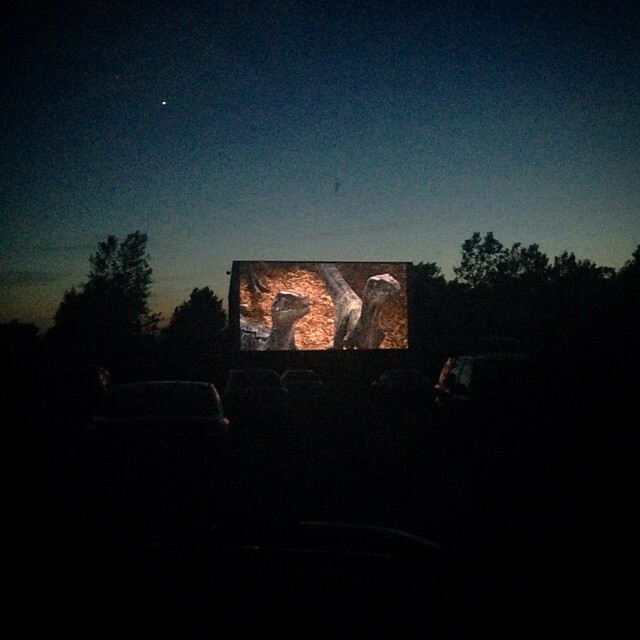 We are having a bit of post-vacation blues so as a pick-me up we went to a drive in movie for a treat. 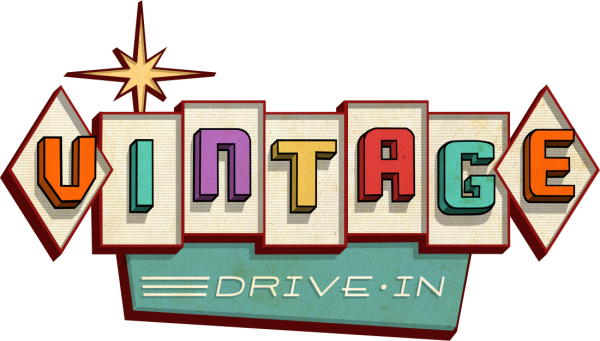 We have been meaning to go for ages, and have never been to Vintage Drive In. They have a great set up. Four screens with double features on each. If you pay a $5 food fee you can bring your own food in. I made us spam musubi. 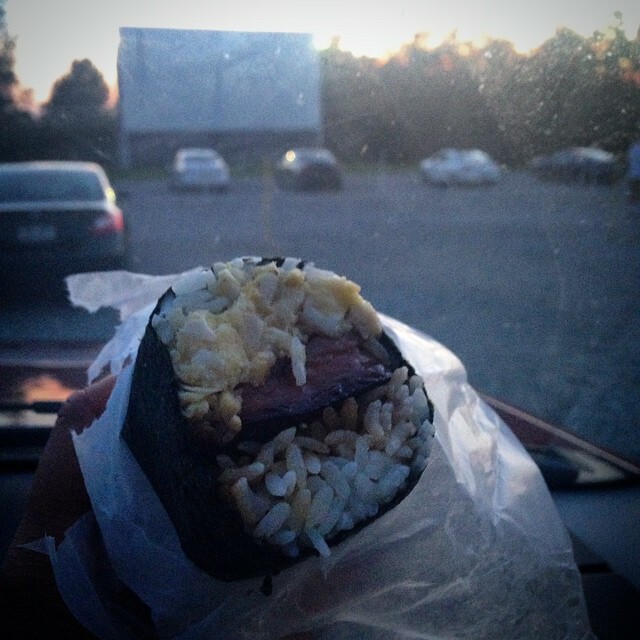 It was so relaxing to have our own food, be able to talk during the movie and even bring the pugs in the back seat with us. We only stayed for the first feature, Jurassic World. I really liked the movie and the entire experience is even better than I remember as a kid.